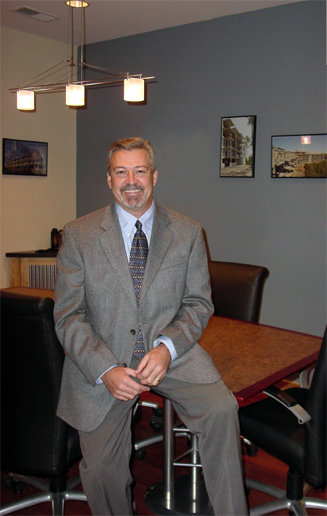 Don Woods established the firm Woods Engineering, PA in 1999 where he worked out of his home with three full-time employees. In 2005 the “home” office was moved to Historic downtown Wilmington, NC and currently employs a full-time staff of thirteen. Don recently opened a branch in Chattanooga, TN in January of 2012. Don provides structural engineering services for a variety of commercial, institutional, high-rise, residential, industrial and specialty projects. Don aspires to achieve an engineering balance of economy and safety while maintaining the artistic intent of the architect. Don is a family man who enjoys golf, gardening and deep sea fishing. His discipline, expertise, and outstanding personality make him one of the top Structural Engineers in the Southeast. Located in downtown Charlotte, NC the Convention Center encompasses two city blocks with huge exhibition halls located below the ballrooms, offices and the grand central station for a light rail system. The bed tower and ancillary buildings were constructed to 4-story and designed for a future 3-story addition. These structures are reinforced concrete. The 2-story office portions are composite steel structures. Project cost was approximately $42 million. The 3-story structure houses business and law wings with a central library and is constructed of composite steel. Local Architect for the project was Calloway, Johnson and Moore. The primary architect was Cesar Peli of New Haven, CT.
A twenty-four story condominium and parking complex designed by Ray Crites, FAIA. The project is scheduled to begin construction in late 2008. The tower and parking structure is reinforced concrete floors, columns and walls. Foundations will be 100 ton auger cast displacement piles. The pool on the 4th level has bars and restaurants and overlooks the Atlantic Ocean.